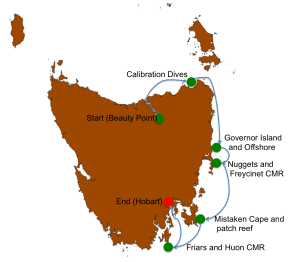 In June 2014 we completed our surveys of benthic reference sites along the Tasmanian East Coast. We were targeting sites visited in 2010 and 2012 as part of our on-going monitoring program. 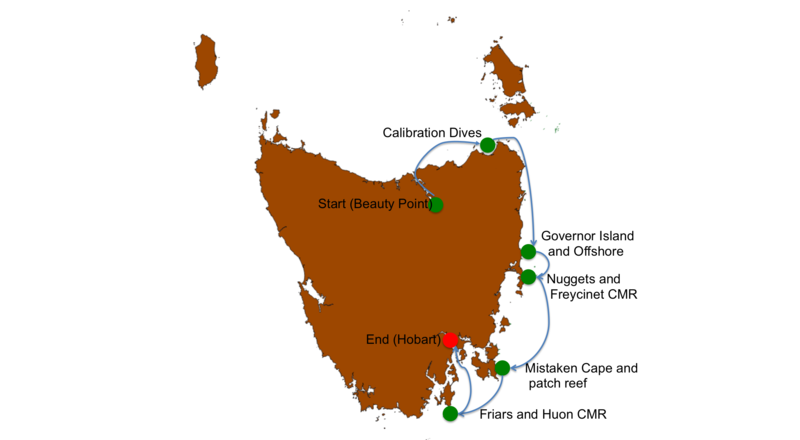 The AUV Sirius completed 20 dives over the 7 days of operation, surveying sites withinCommonwealth Marine Reserves and state Marine Parks as well as unique kelphabitats and deepwater sponge gardens.